Before going into the Orpheum Theater that night, I thought Falun Gong was a Christian sect. After all, there are more than forty Christian sects. But during the performance, I discovered that Falun Gong was not Christian, Islamic, Buddhist, Hindu or Jewish. Falun Gong promoted individual peace and harmony through belief in several gods. If you are curious, you may find a few members of Falun Gong outside the Chinese embassy in San Francisco. They are almost always there when we go to pick up visas before traveling to China. You may even see the pictures they have set up showing victims of torture. A year later, while shopping at Costco, I discovered a table and display for a Chinese musical. The people at that table were dressed in Ming or Tang Dynasty costumes, and I was intrigued to say the least. Then my wife whispered in my ear, “That’s Falun Gong.” I had no idea these costumed people were selling tickets to the same production we’d already seen at the Orpheum. I quickly left. This entry was posted on Sunday, April 25th, 2010 at 12:00 and is filed under China, Chinese Culture, Chinese history, cults, politics. You can follow any responses to this entry through the RSS 2.0 feed. You can leave a response, or trackback from your own site. 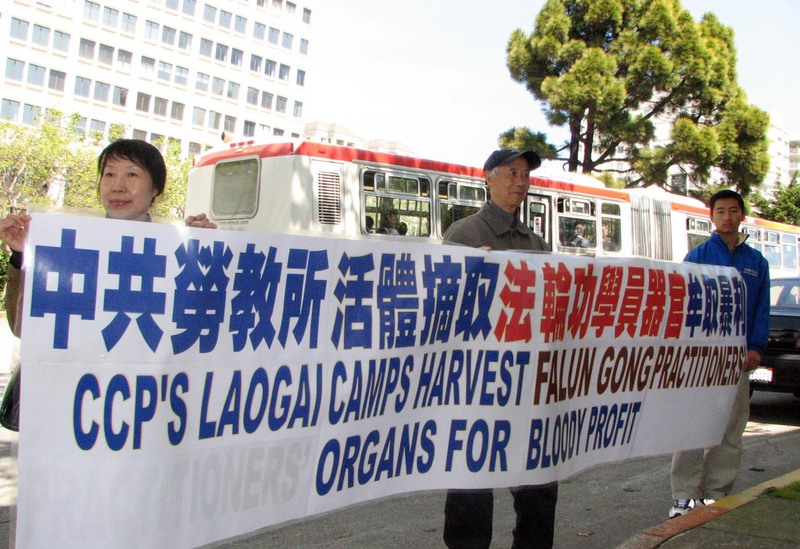 I’ve seen them at Costco and they never say they are Falun Gong. They wear lovely costumes. It’s tempting to buy a ticket. Now that I know they are out taking money for a cult, I’ll ignore them. The first time I saw them, I started over to talk to them because of those costumes. Then my wife whispered, “They’re Falun Gong.” I lost interest. I refuse to support a cult.